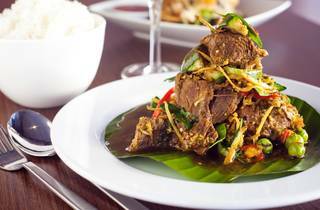 Could you criticise a suburban Thai restaurant menu for being too similar to the carte at Spice I Am? "I'm sorry, but I'm afraid you're just that little bit too rad." No, not if you've got a single functioning tastebud in your head. 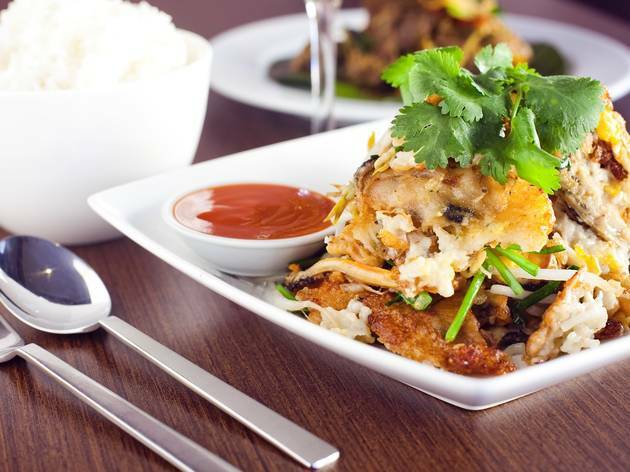 Let's Eat is the rare Siamese outsider in the very Vietnamese neighbourhood of Illawarra Road. Just opposite Marrickville Station, there's little to distinguish it, the single tiled room seating maybe 30, with a TV on the wall and a rack of takeaway menus out the front. It's also not especially busy - not, at any rate, this particular Wednesday night, with nary a Thai nor a farang to be seen. But don't be fooled; this is no mere dodgy Khao San Road knockoff or Phuket Town pretender. That's Phanissa Sricharoen behind the cash register, and Polawat Danphasukul is out the back rattling the pans. 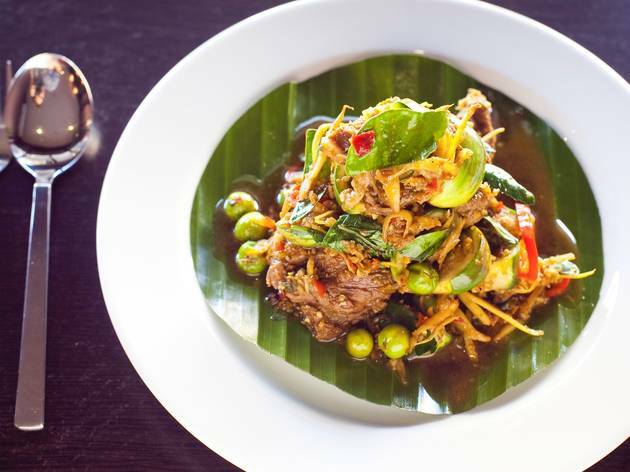 They're veterans both of Spice I Am, that Surry Hills stronghold of authentic southern Thai goodness, and once the food starts coming out, it's clear that they're keeping it real. Pretty much all the Spice I Am favourites are here, and, dare we say it, they might even be better. Maybe it's just because they're nowhere near as busy or maybe Danphasukul is simply a chef to be reckoned with, but there's a lightness and brightness here, like you're seeing something in high-def for the first time, that really stands out. Take the yum pla krob: it's a salad where red onion, coriander chilli, lemongrass and mint are the substance of the thing rather than mere aromatics, and at Let's Eat the fried anchovies that are the focus of the dish have a buoyancy and a crispness that puts everyone else's versions in the shade. It's the same story with the hoy tod, a pancakey mix of fried mussels and beansprouts teamed with an intense chilli sauce: light, crisp, fluffy and clean. 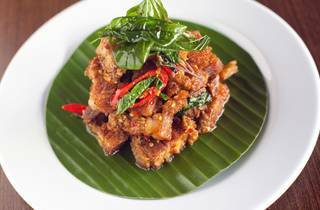 Nam khao tod here equates to cakes of rice fried to a dark brown, and made into a salad with shredded Thai pork sausage, peanuts, dried chilli and lots of mint, shallot and coriander. 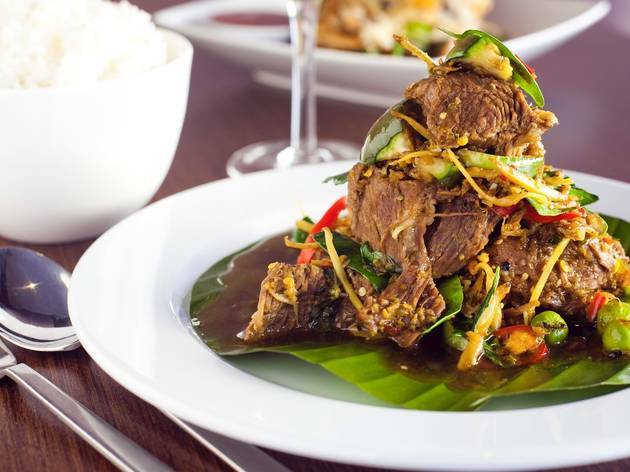 It's not served with the wedge of iceberg as it is at the Spice, but the flavours are bright and clear. 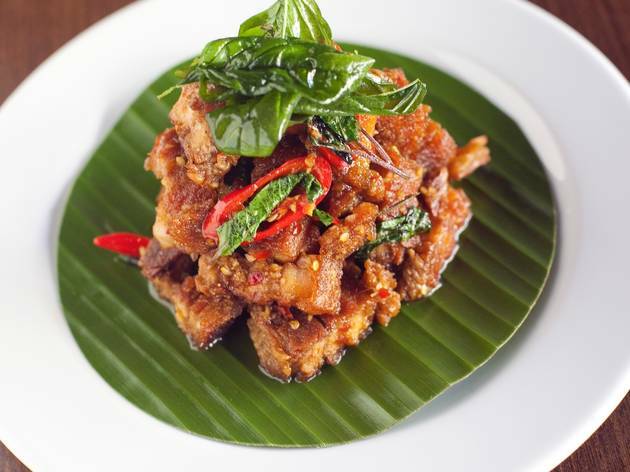 For further excellence in pork, look no further than the kra prao moo grob, belly meat stir-fried with holy basil and chilli, all hot, sticky and spicy at once. Probably the hottest dish in the Spice I Am menu is the jungle curry. They don't do one at Let's Eat, but they do list Tar Zan in the Jungle. 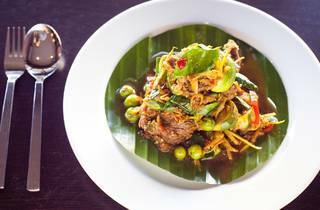 Putting the name to one side, ahem, it's as rich in herbs and eggplant (both apple and pea varietals) and as pungent as any jungle curry, but deploys those flavours not in a wet dish but in a stir-fry of prawns that has got to be one of the must-eat numbers on the menu. And yes, Ralph, it tastes like burning. The other standout specialty here is the neu pad cha, beef chuck stir-fried with a very fragrant house-made chilli paste and wedges of apple eggplant. There's a little chew there, but the cooking is pretty deft, so it's still surprisingly tender, and is packed with a massive beefy flavour. 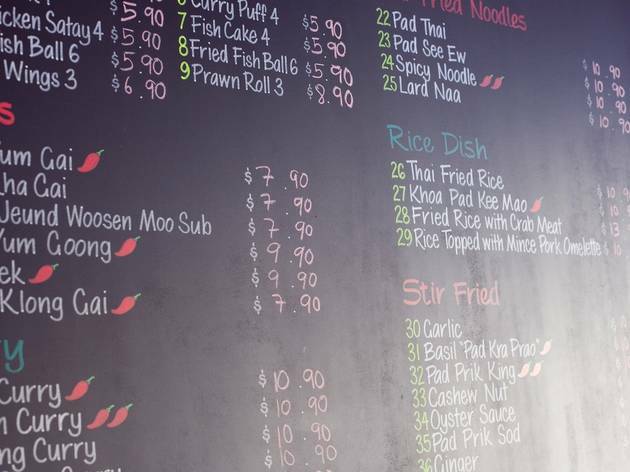 If you were to put them side by side, Spice I Am wins on range (they've got kanom jeen noodles, for one thing) and location (they're handy for Central and the Hollywood; Let's Eat is handy for, well, Marrickville), but the pluses for Let's Eat include the freshness of the cooking, vastly easier parking, noticeably lower prices and no queuing whatsoever. Unlike the Spice, they take Eftpos, Visa and Masters, there's usually at least one dessert on offer, they open Mondays and - wait for it - they deliver. Their delivery area doesn't extend much beyond Marrickville, Petersham and Earlwood, but if you live within striking distance, the prospect of urban hermitude can now seem that little bit more appealing. So they're a lot like Spice I Am? Good luck to them. 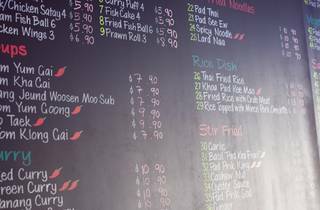 Nine-tenths of the Thai restaurants in this country cook off the same dumbed-down, dog-eared and coconut milk-stained photocopy. It's high time the blueprint was updated, and Phanissa and Polawat are the guys that are blazing the trail. 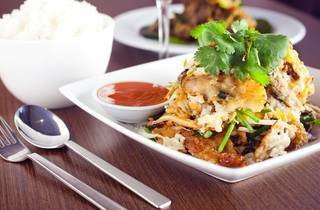 Read more about Sydney's best Thai restaurants. Lunch daily 11.30am-4pm Dinner daily 4.30pm-10pm.